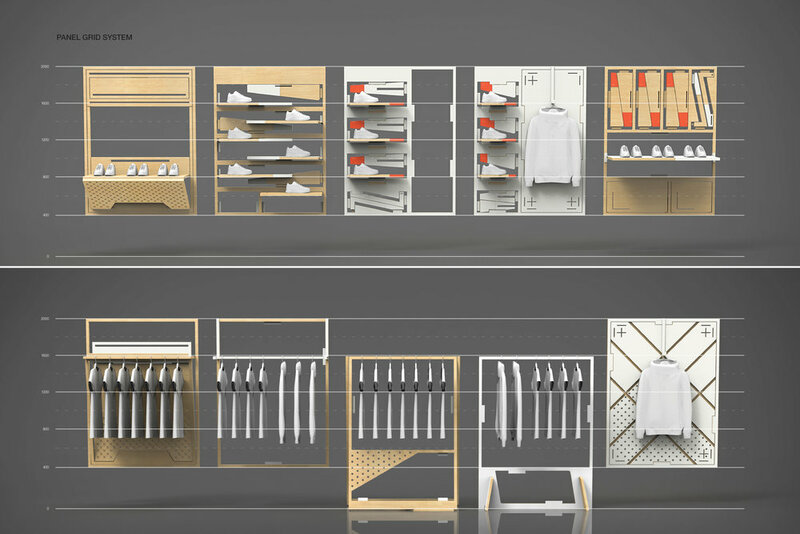 We were commissioned to design a retail system that would embody the notion of “Raw into Refined”. 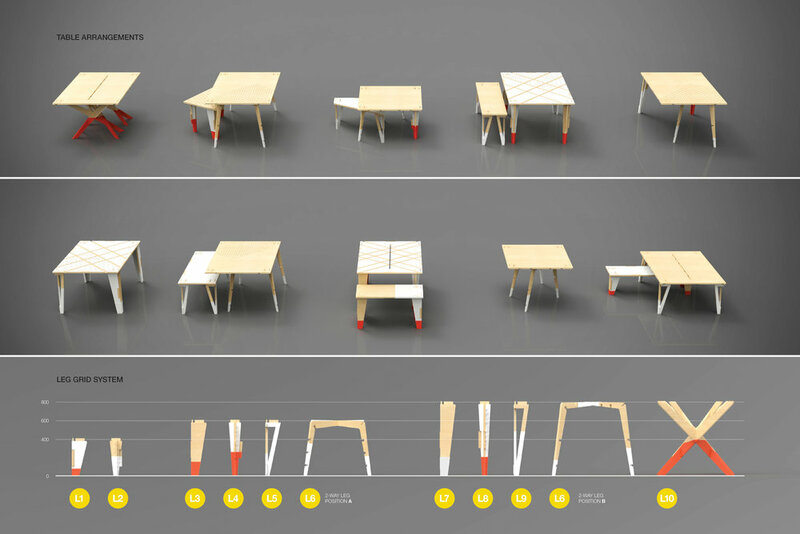 The design was to be functional, simple, modular, flexible, natural, and sustainable and should be rooted in an honest, experimental and modern design language. 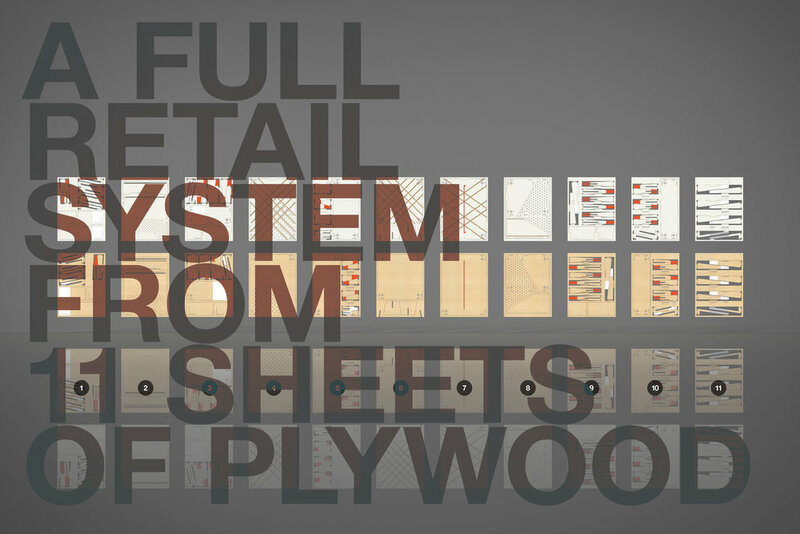 Our solution was to create a full retail system in 11 sheets of recyclable hard board; whose variants could be realized in cardboard, plywood, chipboard or compressed paper. One side each panel would be laminated with steel sheet to improve durability and serve as the magnetic connection in the assembly of its parts. 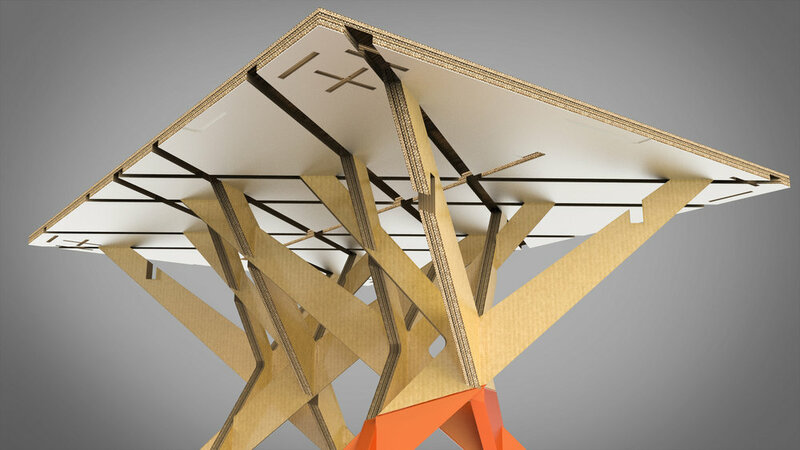 The frames of the panels would remain on the wall and allow for a variety of configurations for wall hanging or display of product. 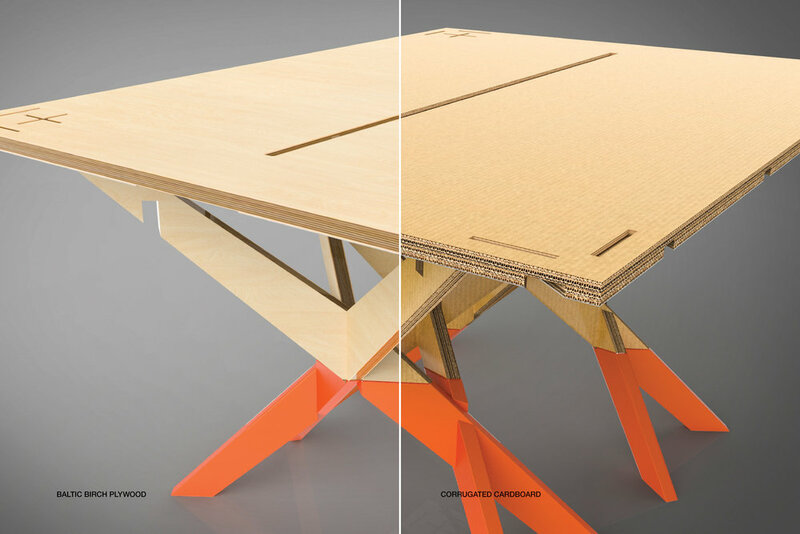 The interior pieces could remain in the panel itself, or be utilized to make floor standing tables or hanging fixtures.